United Structural Systems, Inc. is in the process of expanding its headquarters and training facilities to accommodate growing demand. The expansion will include a fully equipped kitchen, a men and women’s restroom accessible to customers and training participants, and a 2,000-square-foot office space for the USS headquarters and integrated customer service center. The training facilities is approximately 2,000-square-feet and can accommodate more than 100 guests. Combined, this space will be approximately 5,000-square-feet. “We will be able to better serve our customers, as well as offer a training facility that can meet the needs of those who wish to put on seminars, lectures and continuing education series,” said Chris Smith, owner of USS, Inc.
Take a virtual tour of our newly expanded front office, kitchen and women’s restroom. 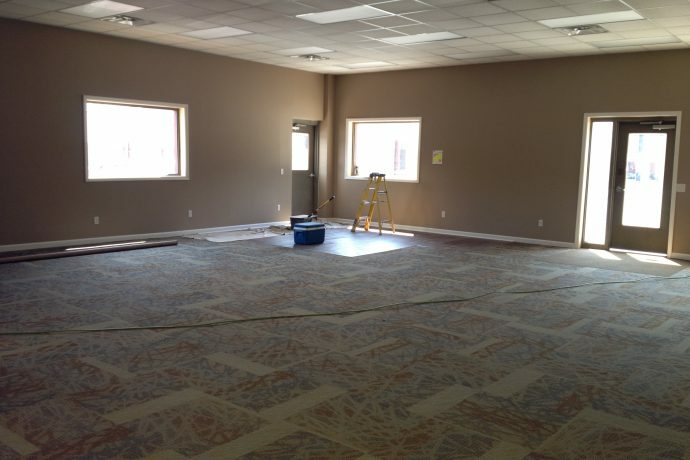 Although the front office is still under construction, things are coming together quickly, thanks to Buck’s Remodeling. United Structural Systems, Inc. based out of Pleasant View, Tennessee, is a leading foundation repair and waterproofing company serving the Middle TN and Southern Kentucky area since 1994. Go to www.usstn.com for more. To schedule an appointment to take a tour of the facilities, call 615-227-2275.